Exciting news for birders around the world…maybe. There is a new bird species. I don’t know what it’s flyways will be; it could be anywhere. It’s name: MAV and it’s of the Drone family. This scarey little bird can fly anywhere it’s dropped. Could be here, could be in a war zone. It can perch on wires and re-energize itself. It has killing capabilities. Not sure I want this bird on my life list but since I don’t live in a third world country, a high-crime area or a war zone I guess I’m safe from it’s invasion. Really? It’s still a little early for our azaleas, according to Mobile Botanical Gardens website, but they’re starting. I have some around my home that have been blooming for the past month. There are still a ton of blooms to come. Can’t wait to see them at peak. 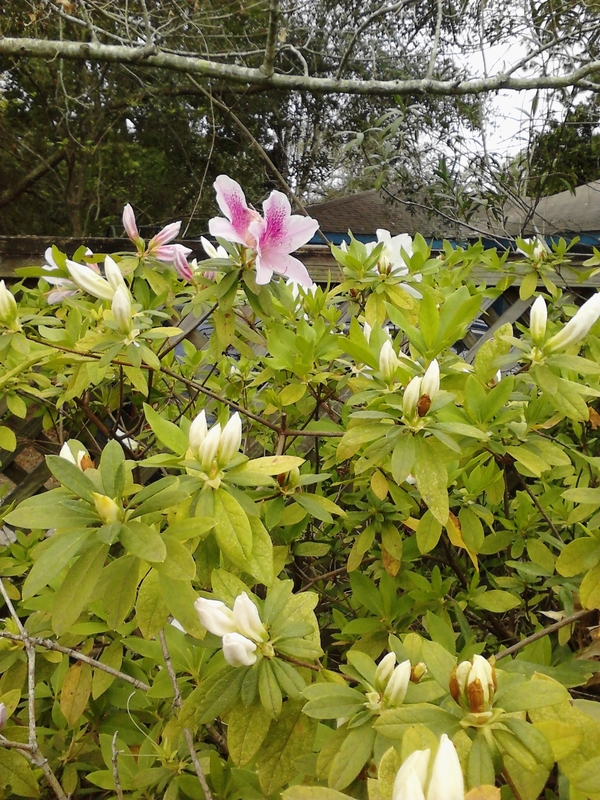 Mobile, AL has been named Azalea City and has been well know for these plants since the mid-1700 when they were reportedly brought over from France. Those several plants inspired many more plantings around the city and now Mobile is in gorgeous bloom of color in March (sometimes earlier, sometimes later depending on weather). Mobile has established an Azalea Trail which you can read about here. Azalea Trail Maids act as ambassadors for the city and attend a wide variety of events in the area. Azaleas can be viewed at Bellingrath Gardens, Mobile Botanical Gardens and just by driving around town. Check out the gardens’ websites for their schedule. While I’ve been to both the Mobile Botanic Gardens and Bellingrath I have never seen the azaleas in all of their glory. This year I plan to get there in time. Who wants to go with me? My oldest son and I had the opportunity to visit the replicas of the Nina and Pinta when they came to Gulf Shores recently. The ships will be traveling the Florida coast and then up the Mississippi visiting various ports. They will end up in Minnesota for the summer and head back this way. If you get a chance to visit and take a tour it’s worth it, in my opinion. If you homeschool, get a group together so they can talk to the students about the ships. The ships are small but there’s plenty to learn about them. We visited both. The only gripe I’m aware of is that some people felt they should have been able to look about the ship down below. That is where the crew lives and the quarters is quite small. In the narrative, we learned that is where the animals were kept so it’s designed differently now, being the living quarters, than originally. All living and work took place on deck. I don’t feel like I missed out by not going down there. Hope you get a chance to visit.